We’ve decked the halls and are enjoying the magic of the season, if you haven’t made it in yet we’re hoping to give you a few more reasons to visit. Thanks for your patience, we’ve finally got our ducks in a row and hope you’ll join us to ring in the New Year, reserve here, seats fill up fast We’ll release the menu as soon as it’s finalized, though it’s sure to be delicious. Chef Jay Mullins and his wife Becky team up with our own Chef Eoen to serve up 5 holiday-worthy courses, highlighting fresh and local products, plated beautifully. We will pair each course with a boutique wine or cocktail, focusing on lesser-known varietals from around the world. 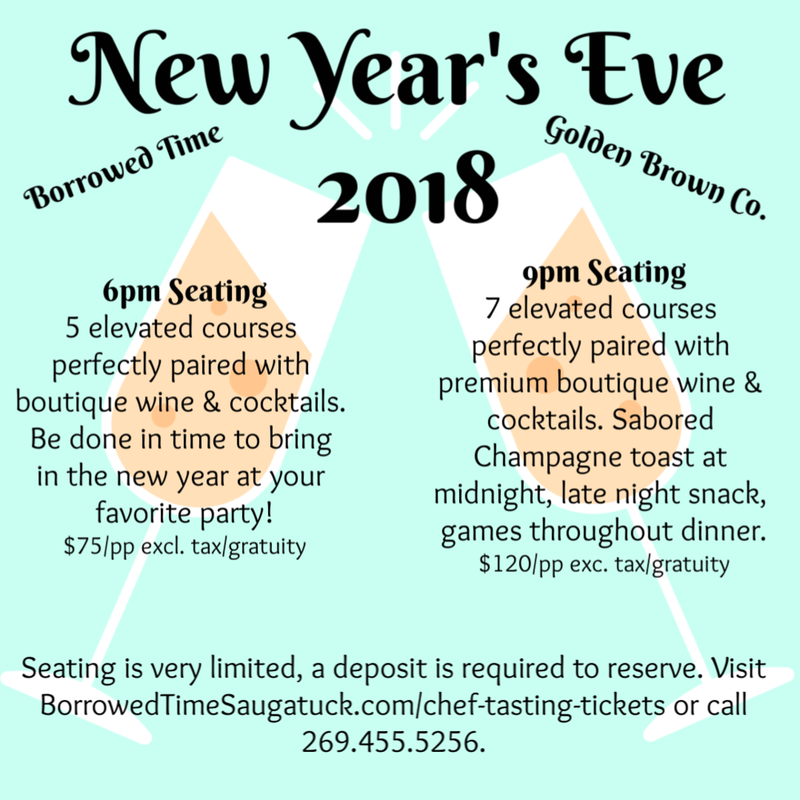 Doors will open at 5pm to allow for pre-dinner drinks, and the meal will conclude by 8pm, leaving time to attend other holiday parties or watch the ball drop from home. Tickets are $75/pp, excluding tax and tip. · Pre-dinner cocktails and hors d'oeuvres with photo booth. · 5 course elevated dinner paired with premium boutique wines, with party games between courses. · Champagne toast at midnight - bottles to be popped in our side yard, we’ll provide sparklers, please dress warm! · Late-night comfort snack to take away. Doors open at 8:30 for pre-dinner drinking with appetizers at 9pm. Tickets are $120/pp, excluding tax and tip. 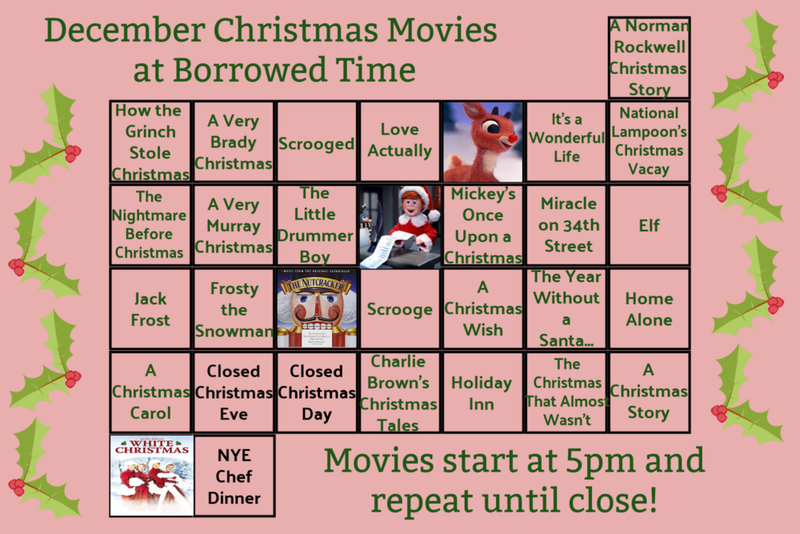 We’ve hooked up a projector and are showing happy holiday-themed movies all month long. They’re played on silent from 5pm - close, providing a festive and nostalgic backdrop to all of your merry & cheerful nights. In the spirit of the season, we’re discounting pricing from 4-7pm 6 days/week. Thanks as always for your support all year round, we appreciate you! We’ve got some killer menus rounding out the year with all things flavorful. 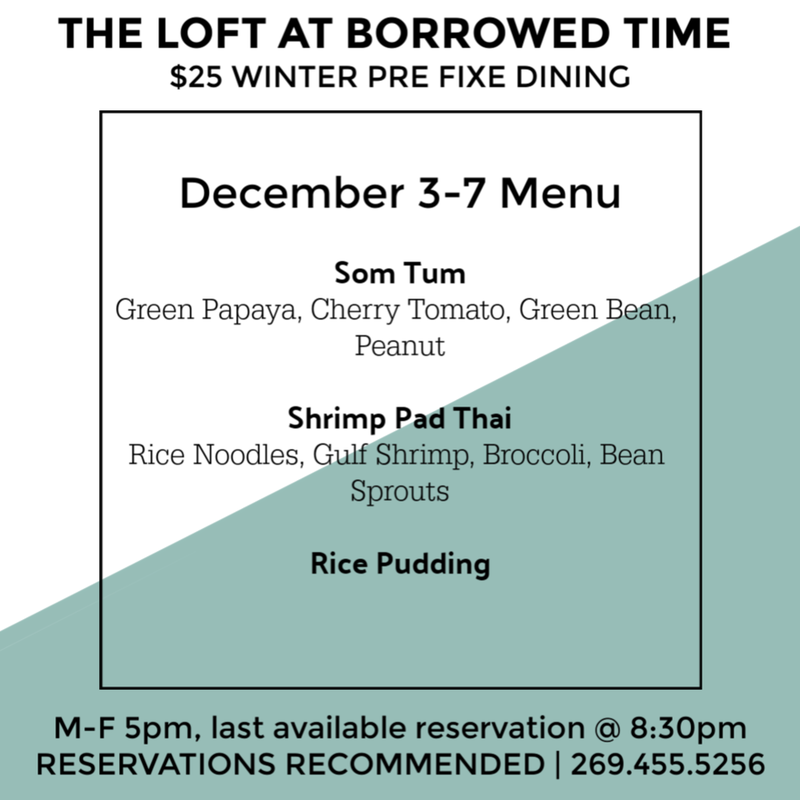 Chef Eoen has drawn inspiration from all over to bring us this week’s Thai-inspired menu, next week’s brunch bites, the following week’s Spanish-style meal, and warm Indian spices at the end of the month. 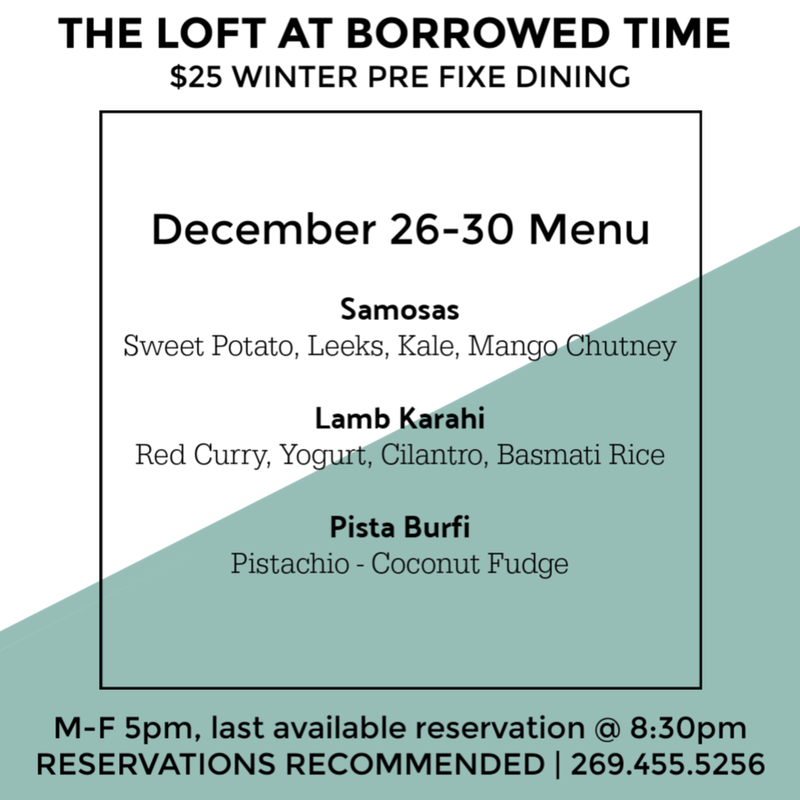 Call to reserve, or if you like living on the edge, walk-in and see if there’s room! We’re happy to accommodate dietary restrictions with a heads up, hope to see you soon. What is better than tasty & nostalgic holiday cookies? The perfect wine pairing to mature your childhood favorite flavors. The music and merriment is free, come join us in an open house style season celebration. 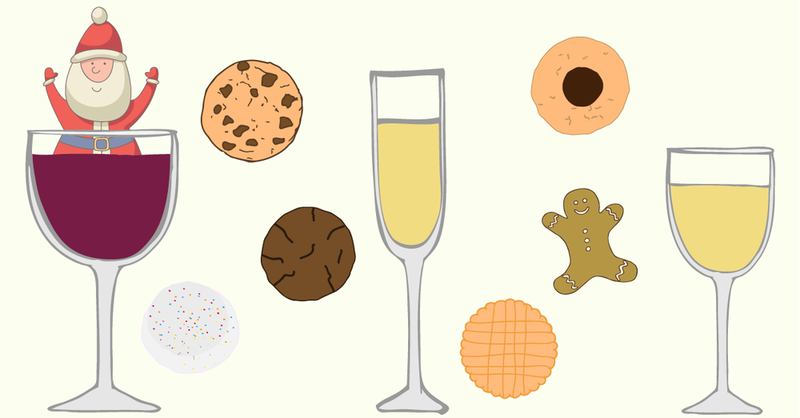 The wine and holiday cookie pairing is $20 per person if you reserve ahead, or $25 at the door. Can we send you some holiday cheer? If you’re like us and enjoy the holiday card tradition, let us know where to send our good cheer and merry wishes. We’d love to snail-mail you something festive. We will be closed December 24 & December 25 to celebrate with family, reopening at 12pm on December 26.